Roots Ethiopia has been asked to describe school dropout and delay in Ethiopia, particularly in the Kembata Tembaro and surrounding region. We have asked one of our local Ethiopian advisers to comment on his understanding and experience of some of the reasons why students discontinue and/or delay school. 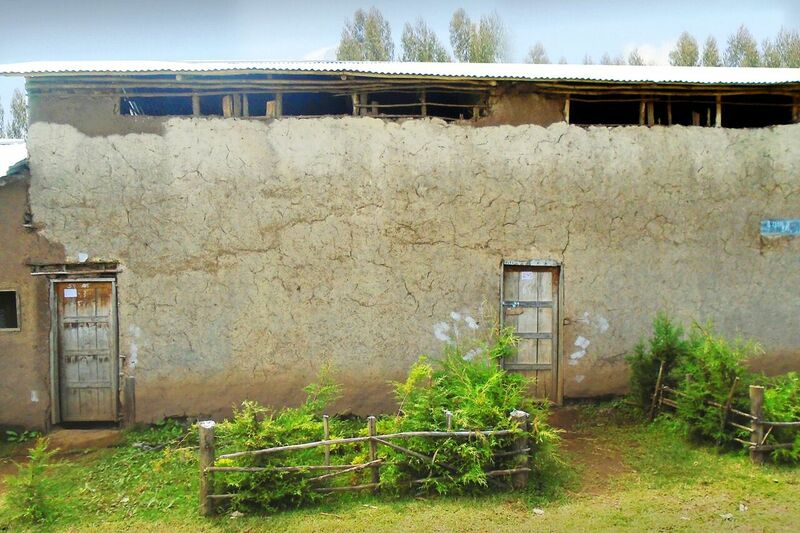 In general, most students in Kambata-Tembaro region are keen, ambitious, and do a great deal of learning. Yet, school dropout and delay in grade progression are very common. In my view, these could be the result of a combination of factors. The effect of family resources such as low income, limited assets, and large family size restrain parents from sending their children to school. Many poor families cannot afford the expenses of school fees, textbooks, clothing, and transportation. Social and environmental issues such as drought, crop failure, food shortage, illness or death of a family member also force students to discontinue school. Normally, children are required to assist their parents in such difficult times. Many schools in the region are hindered by considerable resource needs. This results in a poor quality of education which can increase the dropout rates. Inadequate numbers of qualified teachers, lack of quality textbooks and teaching materials and poor physical school facilities, such as lack of proper blackboards, tables, and chairs, affect the quality of education. Where school libraries exist, they often contain a couple of outdated books to share with groups of students. Poor education means families can become be discouraged from sending their children to school. Parents would rather invest their meager resources elsewhere and involve their children in farming and domestic activities. Girls are encouraged to get married rather than attending school. While discontinuing school does not bring any good either for her or for the poor family, the decisions must be made and often in moments of crisis. In addition, geography can influence school attendance. Primary schools are located in nearby villages and teach from grades 1 to 8. However, secondary schools are often located long distances from rural homes – usually in regional town centers. Grade 9 and 10 students must often travel long distances daily or weekly. The same issue can influence decisions for students who do the hard work of qualifying for high school by passing their 10th-grade national exam. The cost of transportation and travel time can increase the risk of dropout, especially for girls. The question becomes – is it really worth investing or traveling? So, improving the quality of a school is one of the many important measures to be taken to advance education and to reduce the dropouts or delay in school in the KT region. I encourage you to involve in the various initiatives being undertaken by our friends and families of Roots Ethiopia, or other school focused initiatives. You are also welcome to support Roots Ethiopia’s initiative to improve the learning-teaching environment by providing textbooks, desks, science supplies, playground supplies, chairs, etc. to under-resourced schools. You can act now, and donate to any of our initiatives. Your donations help us enroll students in school and keep them there. Roots Ethiopia assists with supplies, uniforms, nutritional, medical, and psychosocial support for families and students. Our number one goal is to get kids into school and help them progress without interruption. Previous Previous post: Soccer Jersey Give-Away–Happy New Year! Next Next post: Grade Placements in Classrooms in Ethiopia — How does it work?